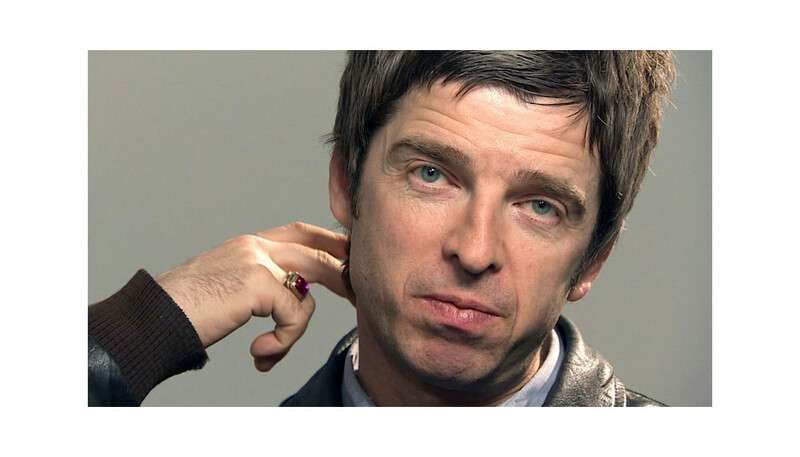 Back with his first fresh single in two years, Noel Gallagher sat down with us to discuss forthcoming album Chasing Yesterday, his life-long friendship with Johnny Marr, and why he likes Christmas about as much as he does Wayne Rooney. Congratulations on solo album number two. Was it the “difficult second album”? Thank you very much. No, I don’t see it as my second album, I see it was my 9th or 10th, or whatever it is. It wasn’t that difficult. I have it all planned out before I go into the studio so I don’t really wait for it to all fall out of the sky; that’s already done by the time I get there. You say that, but you were producing this time, for the first time. Yeah, that wasn’t the plan when I started it but it wasn’t really a big deal. I kind-of know what I’m doing. With the producer thing, you’re only really sharing the responsibility: no producer has ever told me to go from F sharp to G minor; I do all that myself. Saying that, though, it was a new experience. The best person at being me in that room is me, and I find being me quite easy, so what could possibly go wrong? When you’re engrossed in working on a song, do you ever lose perspective? Yeah, but there’s an instinct that just takes over; I instinctively know. I mean, I’ve been doing it so long – and I’ve had quite a bit of success – that I’ve developed an instinct for when things are right and for when things are not quite right. Luckily for me, I am only ever in the studio with a small group of people, so if we all get it, we all know. And if there’s something not quite right, then we just do something else. Being in the studio should never be a struggle: if something is not working then go and do something else. Which is why I never go in the studio with less than about 30 songs. If something is not doing it then I just bin it off and just do another one, to constantly keep the sessions moving forward. And before you even get to the studio stage, who do you run your songs by? No-one at all. The first person that hears them outside of me is my engineer, Paul Stacey, and my drummer, Jeremy Stacey, and that’s it. Nobody hears them until they are finished. I find asking people for their opinions counterproductive. Some people do it to me, and then when I tell them honestly what I think they get the arse a little bit; so don’t ask me then! Do you know what I mean? I don’t open it up to the floor, no chance. And you have Johnny Marr on the album too? I got Johnny on a track, yeah, eventually. I wanted him to play on ‘What A Life’ and he couldn’t do it because he was doing a soundtrack in Hollywood. This time it just so happened that he had just finished his album as I was in the middle of this one and our schedules worked, so he came down from Manchester and we spent a day on it. It was great. What do you think of Playland? It’s great. ‘Easy Money’ is one of the best things he has ever done. I played with him the other night at Brixton Academy and I was knocked out by him; just really loud and exciting. He is so committed to what he does and so enthusiastic and, f*cking annoyingly, still only two years older than me. He has been going for about a hundred years, and he looks better than I do and he plays better than I do. You must have total empathy for each other, in terms of where you’ve come from in your respective careers? I think so, yeah. We’re both first generation Irish kids, and Mancunians. I had posters of The Smiths on my bedroom wall when I was 16/17, and he was the first person that ever got into [Oasis] outside of the band and their entourage. He was the first person that showed any interest in me and what I was doing as a guitarist, so I never forgot that. And we both have been in defining bands of their generation that stood for something, and had to work with tricky lead singers. How does ‘In The Heat of the Moment’ sit with the rest of the album? In the context of the record, it’s quite a throwaway moment. There’s that song and one called ‘The Mexican’, which are just not as deeply thought-out as the rest of the record, and they are there for a reason: they just give you a break from the words and the structures of the songs that surround them. When you put records together, you need moments where you can just feel the riff and not really listen to the words. A lot of the album is quite poetic, emotional and psychedelic – and goes up and down – and these two tracks are just pop songs with great riffs. They’re over before you know it, but they are what make great singles. We heard the song ‘Lock All The Doors’ took 23 years to finish. Why did you just never set it aside? The chorus is so undeniably great, I could never let it go. Honestly, I’ve been back to that song regularly over the past 15 years, once every one or two months, thinking, “Today is the day, today is the day.” And then I’d play the chorus and nothing would happen. Everything I wrote I didn’t like, and the chords weren’t right. And then one day I got it. It was a dark Sunday evening – so it was in the winter – and I’d been to the Tesco and was coming back round where I live and as I was turning the corner from Boots, there it was! It just hit me straight in the face. And that is one of the most amazing things about songwriting: it can happen anywhere. The first line and the melody came to me all in one go, so I went and picked my guitar up and thought, “That’s it!” I can’t begin to tell you the amount of times I’ve sat with a guitar and played it through and it never happened, but I never gave up on it and I will be crushed if people don’t like it! And you’re kicking off your arena tour in Belfast, right? Yeah. One of the best gigs Oasis ever did, EVER, was in that arena in Belfast. I don’t know what it was, it was just like a wild animal. Sometimes you can come off stage and think that was the most amazing gig, and then the soundman will come in and say, “Oh, the PA went off halfway through that,” or the soundman will come in and say, “That is the greatest gig you’ve ever done,” but you know you’ve played like sh*t. Only maybe six times on a tour will you all meet up in the dressing room saying you’ve had a great night, and those are the nights that you remember. That night at the Odyssey was one of those nights. You always seem very relaxed onstage. Do you ever get nervous? You can’t, no. That’s a waste of energy. I don’t get anxious at all, I get excited. I’ve rehearsed that much that I know what I’m doing. And, it sounds a really weird thing to say but, it’s like all those people are there to see me, and the best person at being me in that room is me, and I find being me quite easy, so what could possibly go wrong? I’ve got a back-up staff of 20 people who are there to make me look great, all I’ve got to do is sing the songs that I write and I’m good at that so how could I possibly fail? Luckily for me, I write songs that people really love to sing, and I’m extremely blessed that I don’t have to put on a show because the songs are the stars. I reckon I wouldn’t even have to plug the microphone in some nights: you just start the song and away they’d go and you wouldn’t mind. Our good friend Bono said a very profound thing to me once and it’s true: he said, “As long as your sh*t is good, you don’t have to be great.” And that is so true, and it’s true of U2: you don’t have to be great if your songs are great. As long as you’re not being an idiot – staying up ‘til six o’clock in the morning – and you’re professional about it, giving the people what they want, what could possibly go wrong? I know I’m setting myself up here for a rubbish night in Belfast next March... (Laughs) ...But if I go into it with that intent, then I know it’s going to be great. ...Yes, my favourite time of the year. What is the most ridiculous present you remember asking for? We weren’t that kind of family. I’ve got to say, Christmas is really not my favourite time of the year. I don’t know, I’d rather not think about Christmas. You’ve ruined my day now. Of course, they get everything you could possibly even feasibly imagine. When you’re watching TV on a Saturday morning, they’re just like, “Can I get that?” and your stock answer is yes, like “Can I get that?”, “Yes”, “Can I get that?”, “Yes, NO! That’s a Katy Perry album, you’re not getting that.” But that’s what Christmas is for. As someone from a working class background, who has worked hard for everything you have, do you ever worry about spoiling them? Yeah, but they’ve got to deal with that. I can’t be like, “I’m only going to farm out the love here, or I’m only going to farm out the attention here, because it might be bad for them.” They’re going to have to deal with it I’m afraid. I love them, and that’s their problem, and I spoil them, and that’s their problem. So if they grow up to be spoilt brats then that’s their problem. I’m certainly not going to hold back on it. Finally, we were wondering what you made of Wayne Rooney singing with Ed Sheeran? My two favourite people. Singing what? I hate Wayne Rooney. Oh God, I can’t stand him. He’s just... (holds back) I don’t mind Ed Sheeran, he’s a nice lad, he is a nice lad, but Wayne Rooney? Oh my God, don’t get me started. That’s ruined my day and all, ruined my day thinking of his little head. Oh dear, I’m going to go for a lie down now. That’s brought me down. I’m going to go and have a shot of tequila now.